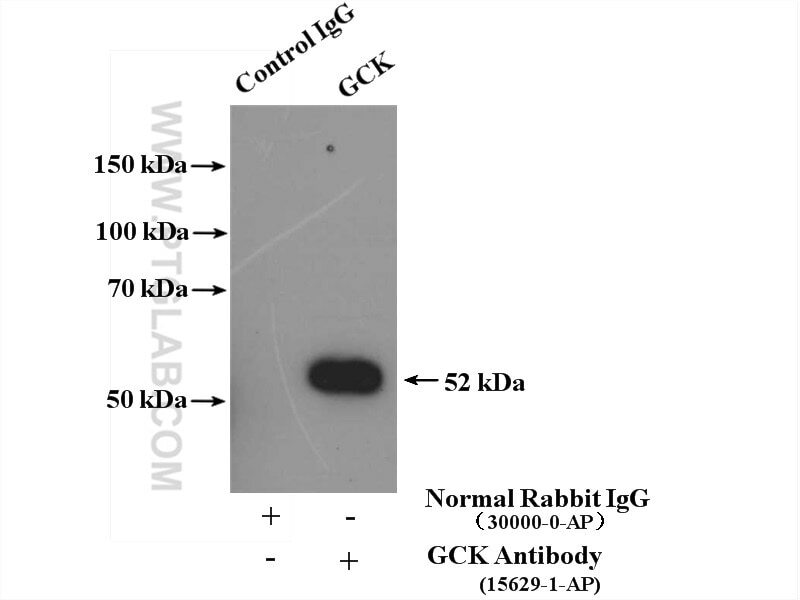 IP Result of anti-GCK (IP:15629-1-AP, 4ug; Detection:15629-1-AP 1:500) with mouse liver tissue lysate 7000ug. Glucokinase (GCK) is a structurally and functionally unique member of hexokinase family. It is expressed only in mammalian liver and pancreatic islet beta cells. Because of its unique functional characteristics, the enzyme plays an important regulatory role in glucose metabolism.The rate of glucose metabolism in liver and pancreas is a function of the activity of the enzyme(PMID:1740341). Moreover, GCK has been found to have relationship with diabetes. Defects in GCK are the cause of maturity-onset diabetes of the young type 2 (MODY2) and familial hyperinsulinemic hypoglycemia type 3 (HHF3). 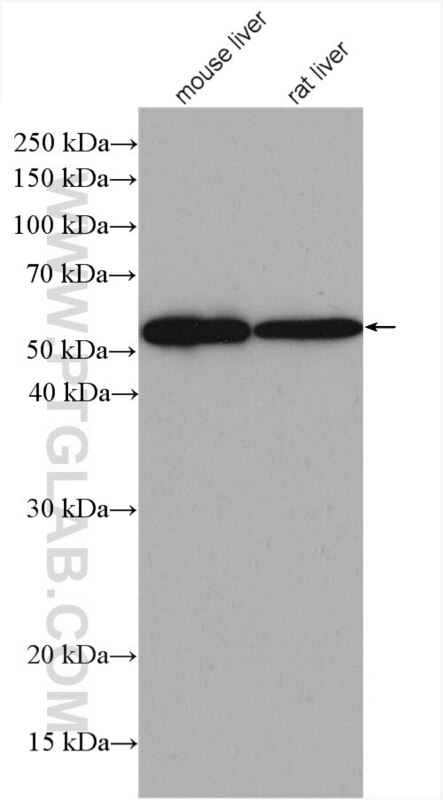 It has 3 isoforms produced by alternative splicing with the same molecular mass of 52 kDa.